We’ve designed a new range of accessories to help you feel more confident in using a rear-facing seat for as long as possible. 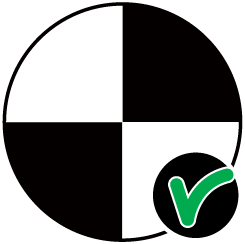 And for your peace of mind, the key products are safety tested in crash tests with the severe impacts. Not only that, they will move with your child when they transition into a front facing seat. 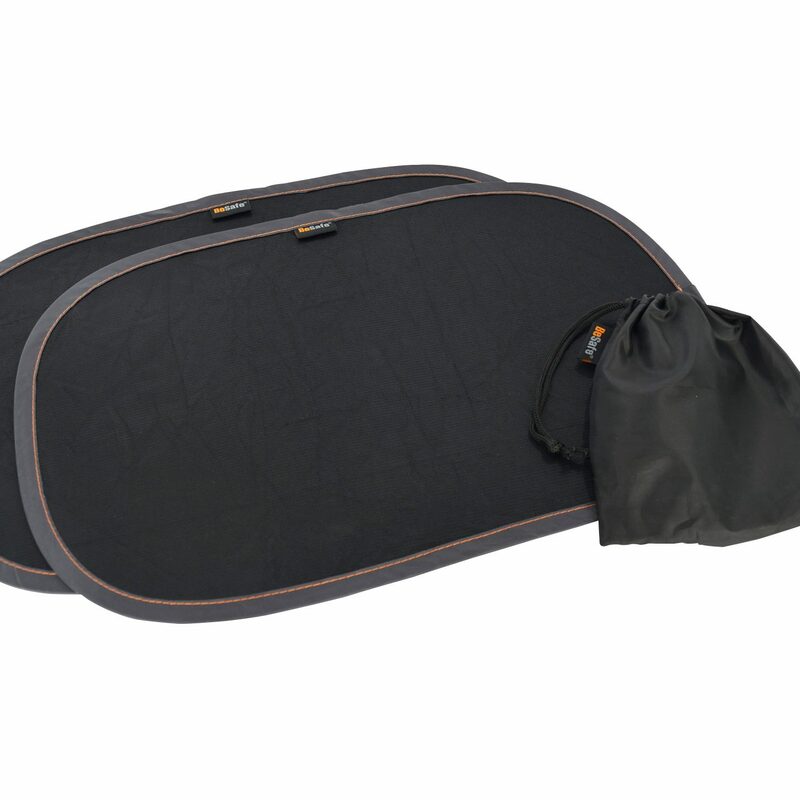 The improved BeSafe child car seat covers are made of high-quality, bamboo jersey and cotton lining. 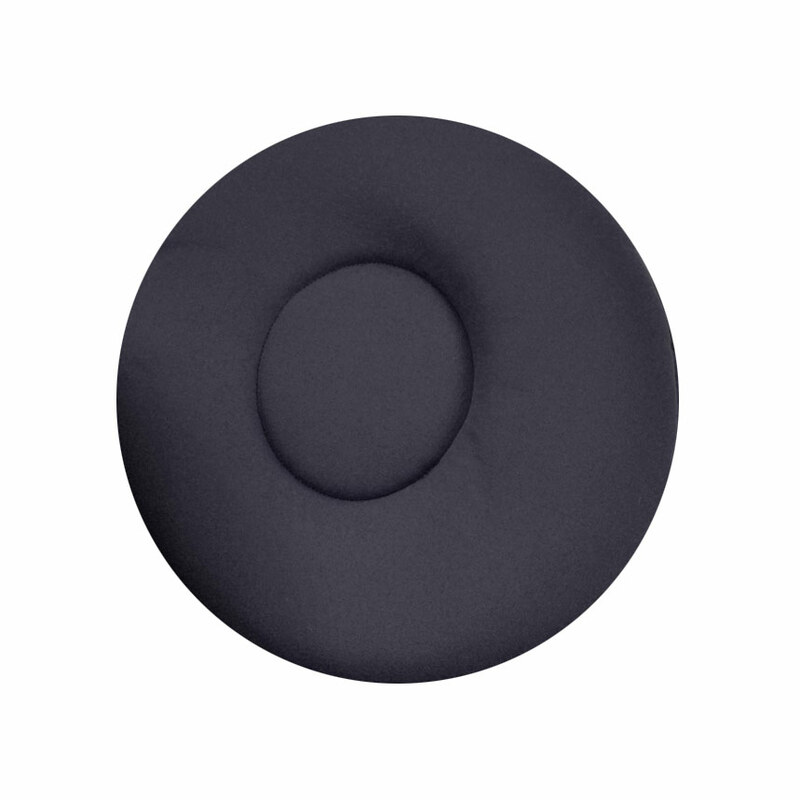 Not only is bamboo an eco-friendly product, it’s beautifully comfortable and soft to the touch. In warmer temperatures, the covers help to absorb sweat and cool the seats for added comfort. With a larger surface area, you can see more of your baby when you look in the rear-view mirror. The new rotating and tilting mechanism allows you to adjust the mirror for a better view of your child. A parent can press a small remote from the front seat and the light softly fades in, enabling you to see your baby in the dark without waking them up. 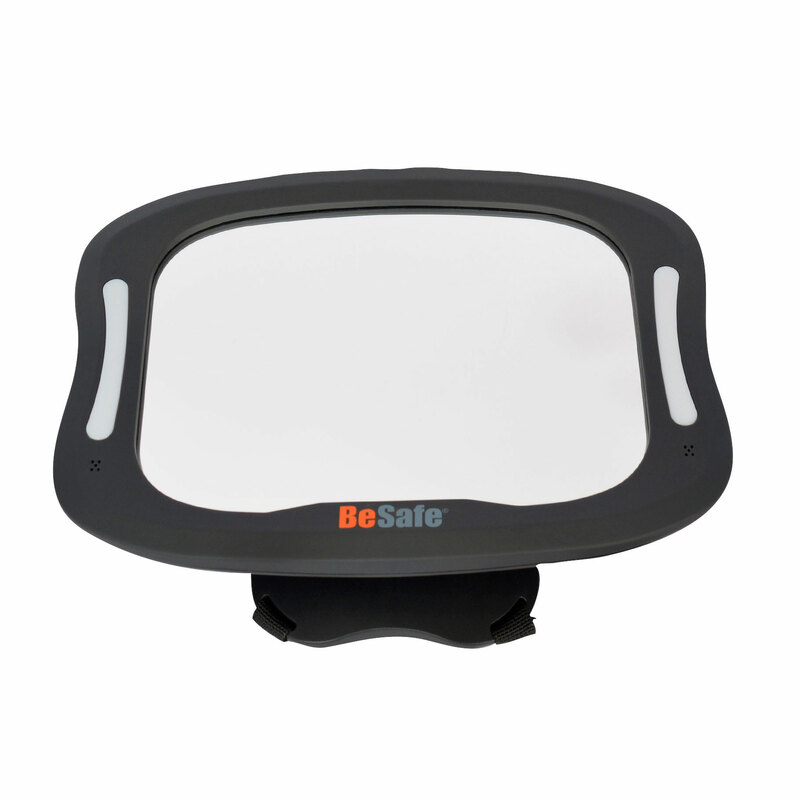 The Baby Mirror XL with light has been crash tested for the highest safety. 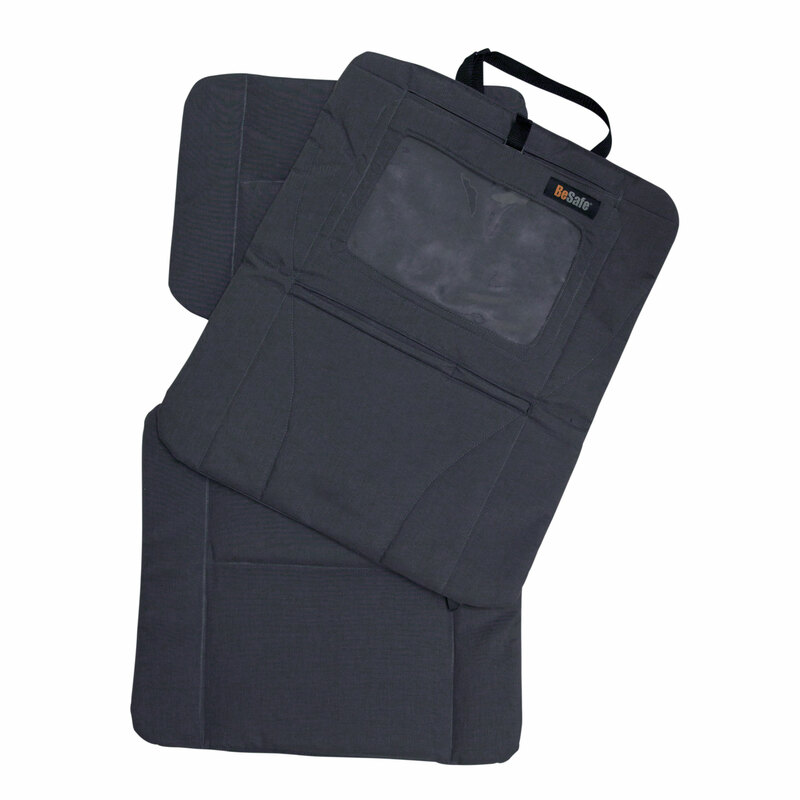 Our tablet and seat cover was crash tested in a severe test and the cover will keep the tablet secured with it’s magnetic closing, so it won’t accidentally open if there’s an accident. It’s easy to clean, and protects the tablet from dirt and scratches. It can be adjusted in height to fit all kinds of vehicle seats and has thick padding to prevent front brace-marks on the vehicle seat. The new BeSafe sleeping help cushion makes the journey even more comfortable for children. The crescent-shaped cushion enables children to rest their head sideways onto its soft surface when sleeping in their car seat. It also ensures their head stays within the headrest of the seat. The new BeSafe sunshade blocks out harmful UV rays with a sun protection of SPF50. It does not require suction cups, simply attaching to the car’s windows with static force. We’ve also made it larger to provide more shade, without obscuring the driver’s view.